It’s fall! Well, it might not feel like it here in Texas just yet, but that hasn’t stopped me from switching to hot lattes instead of iced ones. 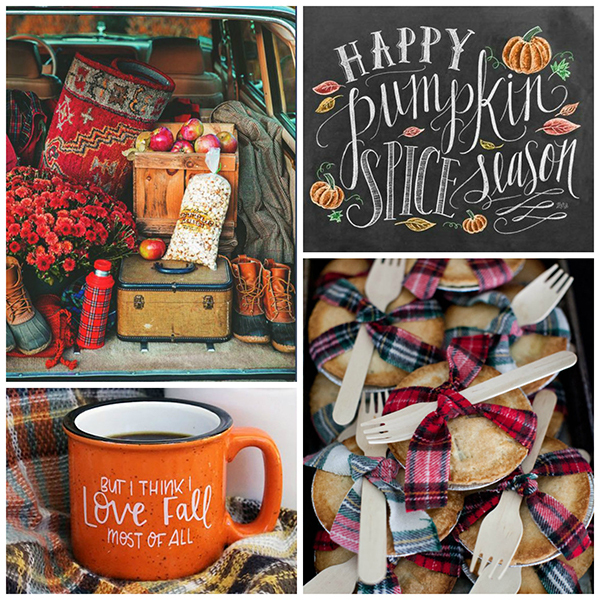 By the time September and October roll around every year—and without much regard to the actual temperatures outside—I’ve become fixated on anything that hints at the harvest season: football and tailgating, vests and cardigans, apple cider and caramel, pumpkins and…everything. And of course, there’s plaid and flannel! Those two pair perfectly for the season, whether in garments or blankets. I’ve recently discovered the joy of the quilt-as-you-go method, which is perfect for me as both a beginning quilter and someone who sews on a vintage machine (without a walking foot or plethora of other accessories). It’s fun and easy and the blocks work up pretty quickly, which is also great for those of us without enough hours in the day to sew all the things we want to sew (which is pretty much all of us, am I right?). And not long ago, I took part in my first sew-along. I love the virtual companionship that sew-alongs provide, and working at a scheduled pace section by section helps keep me motivated throughout the project from start to finish. Armed with these new experiences and a total obsession with all things fall, I’ve teamed up with Fabric.com to bring y’all a plaid flannel, quilt-as-you-go, sew-along trifecta! 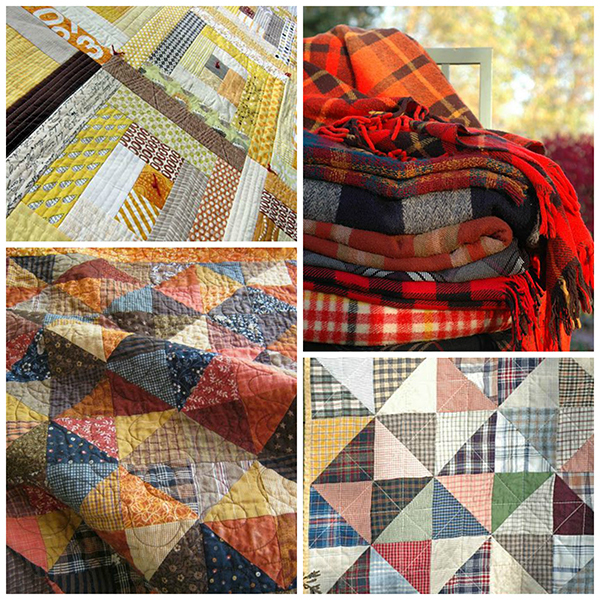 Over the next several weeks, we’ll be hosting a quilt-as-you-go log cabin blanket sew-along on the Fabric.com blog. We’ll officially kick off on October 21 with a discussion on choosing fabrics and yardage requirements, before reviewing the quilt-as-you-go method and starting our blankets. I’m so excited for this sew-along and I hope you’ll join in! Find the schedule and more details on the Fabric.com blog HERE. 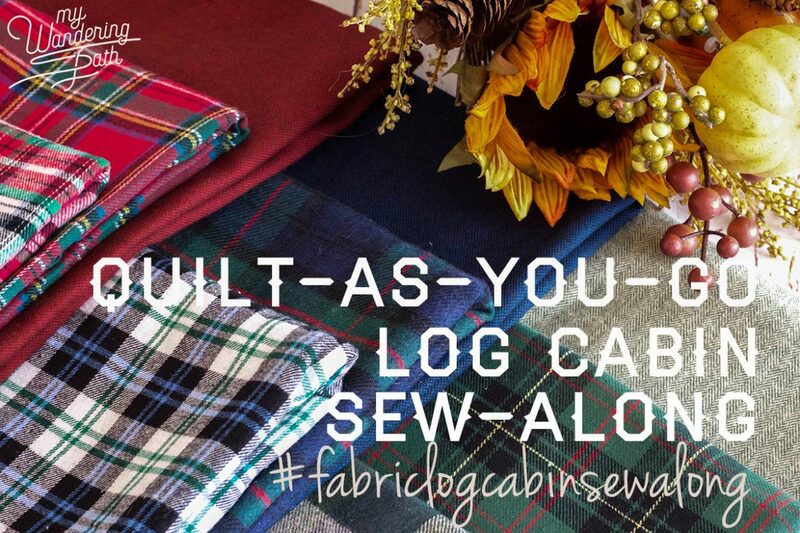 Be sure to post your inspiration, fabric pulls, and progress on Instagram using the hashtag #fabriclogcabinsewalong. 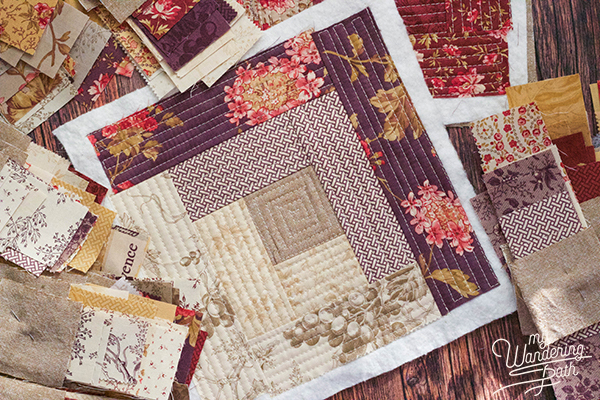 Do you have a favorite fall fabric or project? Have you ever made a quilt using the quilt-as-you-go technique? Are you planning to join the sew-along? Leave me a comment below and let me know! This post contains affiliate links, which means I make a small commission if you decide to make a purchase through those links. 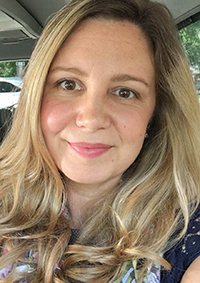 I promise that you will not pay more by purchasing through those links, I only link to products I have personally used and can positively recommend, and whatever commission I earn will be entirely used to support my fabric habit and make more fun (and hopefully inspiring) things to post on my blog. Thank you!